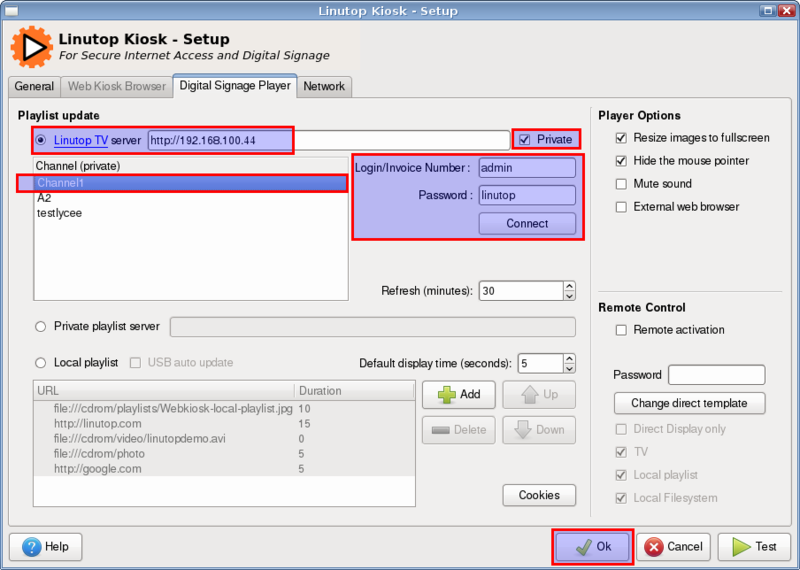 This section explain how to use the Linutop TV service. First you need to select Media Player in the main panel and if you want it to start automaticaly check the associated parameter. 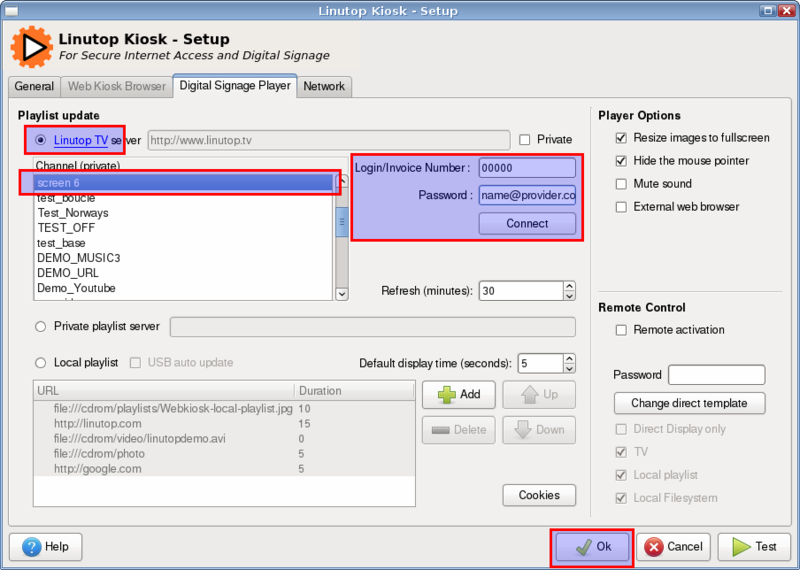 If you use a public server you need to select Linutop TV server and to log with your invoice number and you password. Then choose the playlist you want to display and hit the OK button. 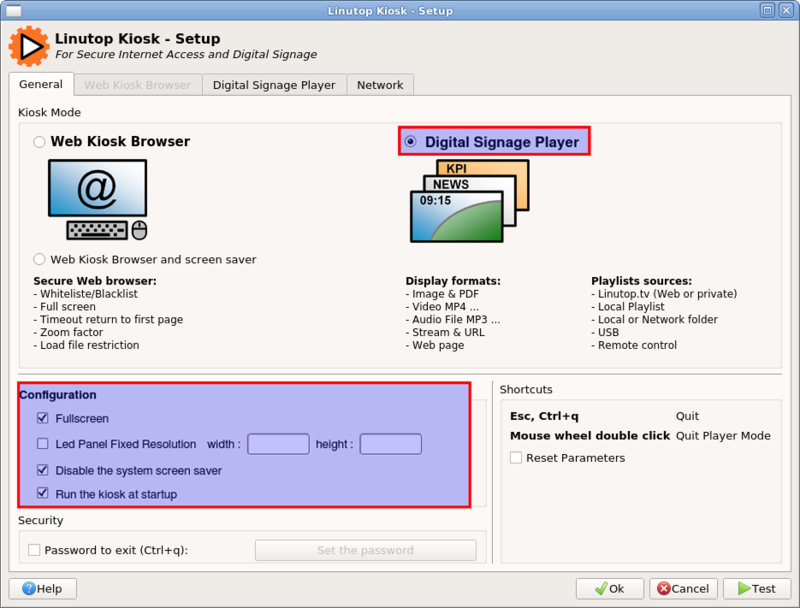 To quit the kiosk application hit Esc. If a password is set, use Ctrl+q and enter your password instead. If you use a private server you need to select Linutop TV server and to check Private then enter the url or ip address of your server. once done you need to use your login and password to access the playlist (by default admin/linutop). Then choose the playlist you want to display and hit the OK button.